But when Travis contacted me, it was a different story. He said that he and his fiancee Katie both really wanted a video, but were concerned that it didn’t fit into their budget. Travis had secretly found a way to make it work, and surprised Katie at her bridal shower with the news. (“Best surprise!” she told me later.) This worked out perfectly as we all had time to chat before the wedding to get to know each other and coordinate all the details. And what a fabulous wedding day it was! These two aren’t just pretty faces. It takes just a short time with them to realize that they are people of substance, that they care deeply for each other and everyone around them. 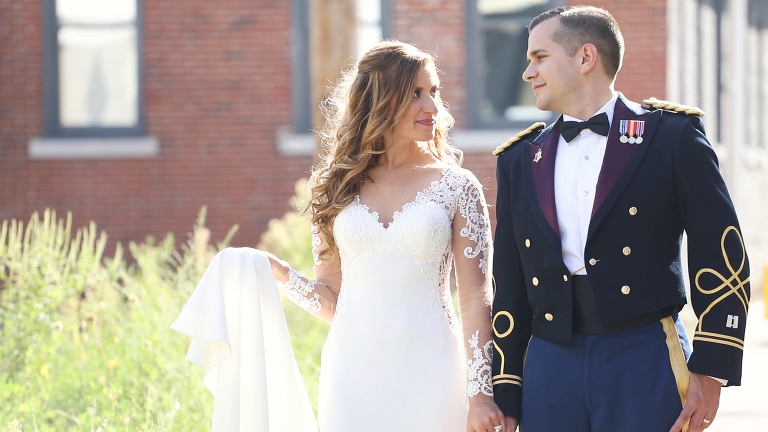 I’m thrilled to share their wedding film! This is a Syncopated Pictures single shooter mini highlights film, shot entirely by me, Christina Montemurro, and edited by me using Adobe Premiere. Music: “You and Me” by Ben Rector and “Measurements” by Lorien, licensed through The Music Bed.